Living in France, Lynn has developed a strongly cyclic approach to astrology and blended it with her own psychological work as well as training in Eriksonian Hypnosis and work in family therapy. A background in literature and sociology come together in a keen interest in the relationship between the individual and collective cycles. She has spoken at most of the major astrology conferences in the world, UAC, ISAR, the World Congress in Switzerland and the FAA in Australia, as well as many other venues in the UK and Europe, Mexico and the US. She has been a tutor for The Faculty of Astrological Studies Summer school in Oxford, and teaches seminars internationally. She has recently taught seminars in Austria, Norway, Holland and Germany, as well as France and Mexico. Lynn has been teaching at The Centre for Psychological Astrology in London since 1995. Her articles have appeared in The Mountain Astrologer, Apollon, The AA Journal, Meridian and other major astrological publications. Her most recent book with CPA Press is Cycles of Light: Exploring the Mysteries of Solar Returns. She is co-author of The Mars Quartet (with Darby Costello, Liz Greene and Melanie Reinhart)and the author of Planetary Threads which explores family patterns in astrology. She helped create L'Association Française d'Astropsychologie in Paris. 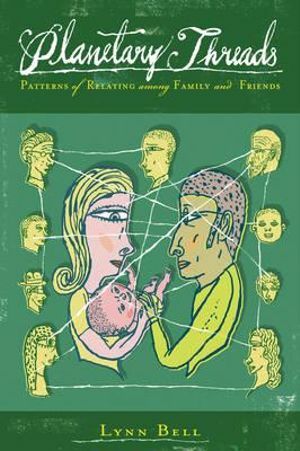 Planetary Threads Bell's innovative exploration of the patterns of thinking, feeling, and behavior which run back through generations is enhanced by her unique adaptation of the genogram highlighting particular planetary placements and aspects that recur in families. Cycles of Light Focuses on solar returns using a psychological approach, along with practical yet philosophical information. The 8th House: Vampires, Transformers & Enablers Lynn Bell presents a lecture on the complicated 8th House dynamics with a look at the archetypes of the vampire, transformer and enabler. Presented by Astrology University.